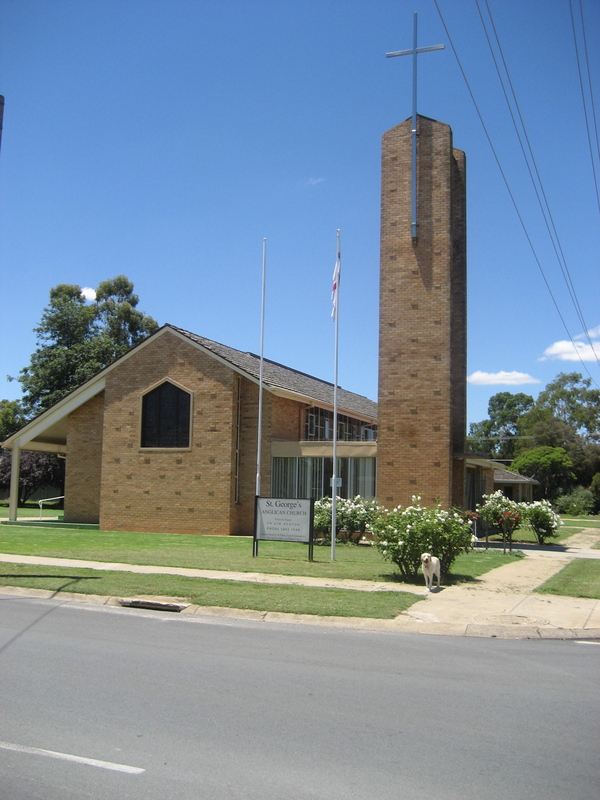 Situated at the southern entrance to the town on the main street beside the lake and surrounded by rose gardens, the church designed by Louis Williams was built in 1961 replacing the original wooden building. It is a modern asymmetric steel-framed building with bell tower. There is a sense of spaciousness with wall-length windows, a high ceiling and a broad sanctuary, and a west wall stained glass window. St George’s has a tradition of fine music well supported by an excellent choir. Musical direction by Mr Rob Elliott. Service time: Sundays 10.30am Sung Eucharist and Sermon followed by morning coffee and tea in Hamon Parish Centre. If you are staying at the Lakeside Resort in Numurkah, St George’s is at Southern end of town opposite the Louis Hamon Gardens.